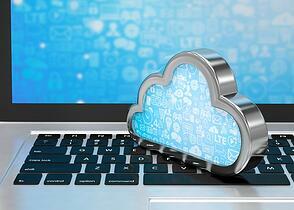 In the past few years, the idea and application of cloud computing has exploded. It almost seems as though we will cease to store important information on our personal devices or keep stacks of external drives gathering dust on our desks. Apps like iPhoto save every picture you snap to a server far, far away. If you bought a house in the past year, it could be that you never touched a pen throughout the process—or a fax machine. You have online file-sharing and docu-sign services to thank for that. It Makes Work Work Anywhere. Cloud-based file sharing and storage services give you anywhere, any device, anytime access to the vital information you need to do your job. Even in the field, standing next to a utility pole or at your desk, checking on the progress of clearing backlogged work in the field. Even at home, in the dead of night. Well, that last one might not be the best thing ever, but it certainly changes the stakes for connected infrastructure asset management and for what a smart joint use manager can get done, when and where. Big Search Functionality is Baked in. Few things are more laborious than manually searching a 30-page document, whether it is actually on paper or in a locally saved PDF. Cloud-based services tend to place a priority on search functionality, giving users the ability to find any needle in any one of the haystacks that may be virtually piling up around them. For joint use, this means platforms that make contracts easy to access, discerning the state of equipment in the field quickly and accurately, making your workday a more organized thing of beauty. Simply tap in a few keystrokes of the information you would like to find and you can see it served up in a nanosecond; no hours of scanning, no paper cuts. An attacher renews a contract. In our cloud-based universe, it posts into your joint use software giving each of your colleagues immediate access to the freshest information available. Brilliant, you think. The same goes for information on assets in the field. Data is only as useful as it is current, and in the old world, asset data could only be as fresh as someone’s speed to report and import it. Today, data transfer is nearly instantaneous. Field technicians enter information and transmit it all while still standing next to the asset, meaning the data is as fresh as it gets. Later, updates happen just as quickly and seamlessly, keeping you constantly in the know. Cloud computing is actually much like joint use itself: distributed services that rely on resource sharing and a foundation built and owned by a third party. It is an idea whose time has come, and its adoption—especially in the form of connected joint use software—has the ability to change the way you deal with information altogether. So go ahead, get your head in the clouds. A new world of updated, accessible information awaits. If your joint use software could do one thing better, what would that be? Answer in the comments below.